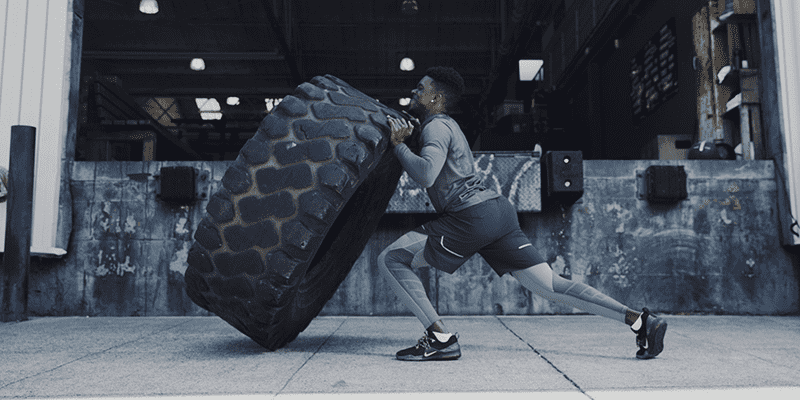 Train in style with this high performance and unique new functional training shoe from Nike. 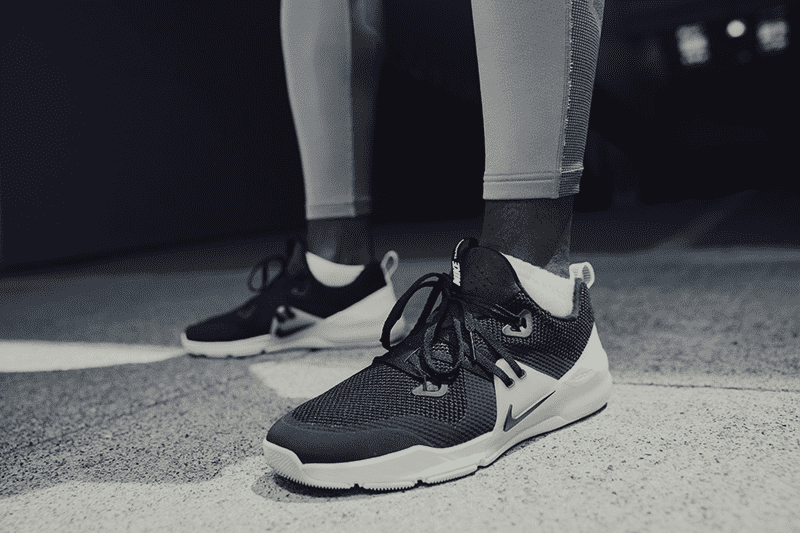 The Nike Zoom Train Command offers a completely unique new style for functional training shoes. It is designed and crafted with a nod towards street sneakers, especially with the introduction of the single piece constructed upper. The high tongue and distinctive silhouette help to further this connection. Blurring this boundary between street wear and functional design, Nike also added semi transparent sections to allow the internal construction of the shoe to become visible as well. This looks especially striking on the binary blue model when combined with the gum sole. 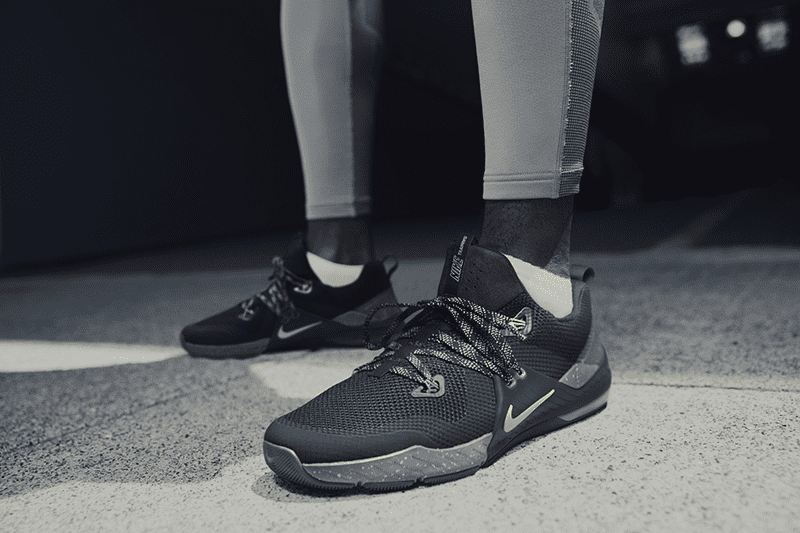 The Nike Zoom Train Command ensures snug support for your feet whilst lifting and training. I found the shoe reliable and responsive for workouts involving higher rep barbell movements (such as thrusters) and exercises that require quick, explosive movements such as bar facing burpees. I would recommend switching to your Romaleos though when working on heavier lifts. Cole Sager prepping his mind pre-workout. With this shoe, looks are deceiving. This isn’t a shoe with an artificial arch and too much padding, despite its appearance. It is highly stable and works well for lifting, which may not be obvious from the style of the shoe. They are more flexible and cushioned that a pair of Nike Metcons for example. This is noticeable when you walk or run in them, but they offer stability when you need it as well. Flywire cables are woven into the forefoot and a TPU wrap at the midfoot ensures your feet stay locked in, especially during lateral movements. The flywire cables are embedded within the fabric itself and work directly with the laces to provide snug and stable support. The striking black and white colourway. The slip-on design offers a new take on the way that functional training shoes are understood, and when combined with the rest of the features, creates a very comfortable shoe. I found that the shoe fits true to size as well. Nike Zoom Air is a cushioning system that is built from fibres housed in pressurised air units. These fibres are bunched into columns and compress and spring back in order to provide cushioning. The material can be constructed in narrow sections, as in the case of the Nike Zoom Train Command. This allows the shoe to place the feet in a lower position whilst also providing cushioning at the same time. The Zoom Air feature makes the shoe decent for running as well. I tested these on the track and took them off road around the lake where I swim and train. They performed well in both instances. I’m not a fan of hugely cushioned shoes for running in, so these were more in line with my particular tastes. The Zoom Air gives them more of an explosive step, much more so than when I have completed these endurance workouts in my Metcons. I will continue now to opt for the former over the latter and use the Nike Zoom Train Command for my running training. From partner workouts to metcons, the Nike Zoom Train Command have got you covered. This feature is good for all types of jumping movements. For high rep box jumps or broad jumps, this helps to reduce any shock on your body as well. The traction pattern on the sole utilises horizontal and vertical lines and helps to create more grip for quick movements. The division of the textured sections on the forefoot adds to this responsive feel. The Nike Zoom Train Command is created from a one piece constructed design with a mesh upper. There is suede detailing on the tongue and an overlay around the shoe. 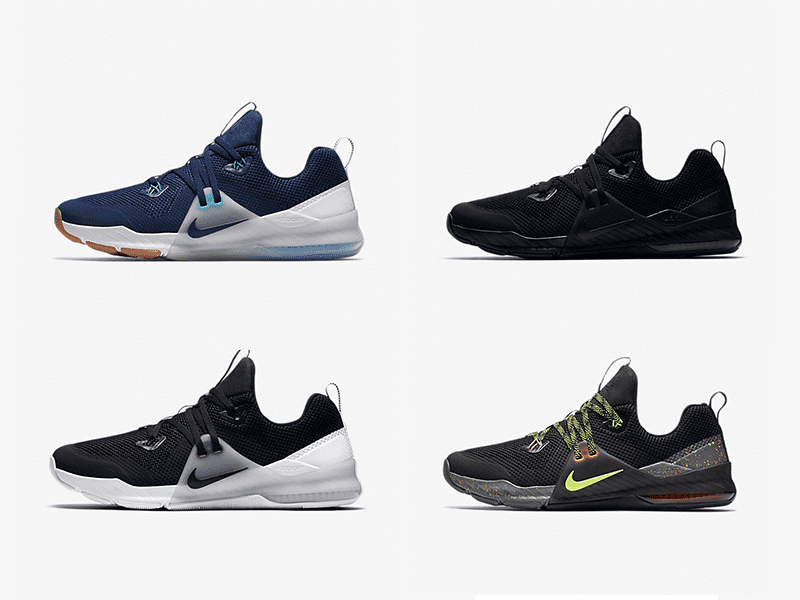 The shoe is not in stock anymore, however Nike created a range of other Air Zoom training shoes.